The industry leader, Structural Contours, Inc. offers the widest selection of Aluminum Strongbacks....the STANDARD (7-1/2"/177.8 mm), HEAVY (9"/228.6mm) and SUPER (12"/304.8 mm), providing the industry with choice, not chance. 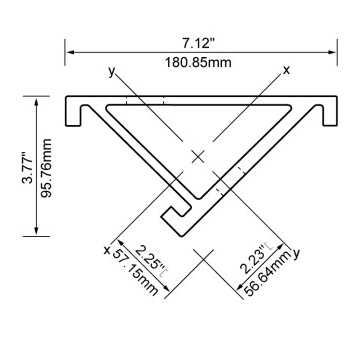 All of SCI's Aluminum Strongbacks utilize the same Aluminum Clip Assemblies for attaching other aluminum members, such as Aluminum Joists, Aluminum Stringers, and other accessories. 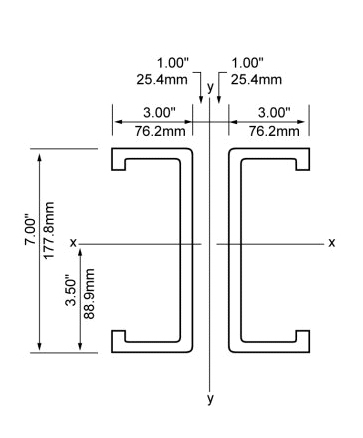 The use of SCI's Aluminum Gang Form System will allow tie spacing flexibility, as the Strongbacks can be spaced in accordance with any architectural or structural requirement. 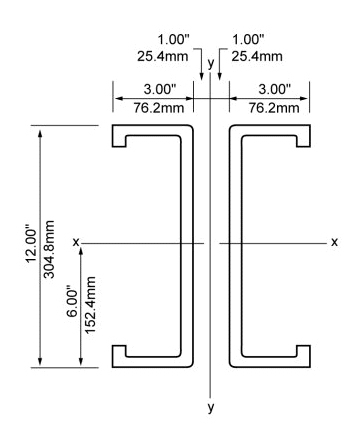 The 3/4" thick (19 mm) plywood form face will minimize joints, thus finishing costs. For architectural concrete wall forming, the user will have the option of using other types of plywood, such as Fin-Ply Birch Plywood, Plyform, FRP (fiberglass) faced plywood, and plastic or elastomeric form liners. Because of aluminum's high strength to low weight ratio, wall forming with large gang form panels will be possible and forms are handled very easily with most tower cranes and small truck cranes. The SCI Aluminum Gang Form System is adaptable to forming walls that are straight, circular (tanks, highway retaining walls, silos), Y-Walls, T-Walls, Dams, Bridge Piers, Tunnels, Building Core Walls, and for One Sided Wall Forming. Concrete placement rate, ambient temperature, form tie capacity and centering will all have an effect on gang form construction. SCI recommends that the users follow the recommendations of ACI Committee 347 to determine the Maximum Allowable Lateral Pressure for all wall forming, and then consult with SCI's Engineering Department to determine the correct aluminum gang form configuration, member spacing, tie location, etc. If you have any questions regarding our strongbacks, please contact us for more assistance. 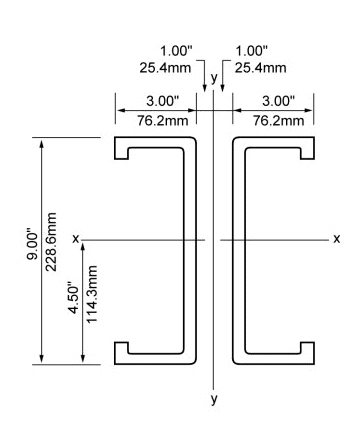 Aluminum Strongbacks - Three sizes to meet any need or application 7-1/2" (178 mm), 9" (228 mm) and 12" (305 mm).